Upholstery fabric left unattended for a long time or improperly cleaned once can not only grow harmful germs but also provide a stale look to your living environment. There are instances where the accumulated dirt starts to stink. Dirty or stained upholstery is certainly one way to ruin the look of whole room Upholstered furniture has unique properties which may require special handling skills. Fabric type, color fastness, dimensional stability, cushions surface and stuffing must be determined before cleaning process will take place. Our experienced technicians are specially trained in the care of all kind of upholstery, so they will choose the proper cleaning solution best suited for your furniture. body oils, airborne dust, dirt and bacteria on upholstery. Have you noticed your once beautiful couch, chairs or window coverings are looking dirty, dingy and stained? 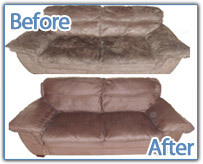 No need to replace them with our professional upholstery and furniture cleaning services. Give your upholstery an instant face lift! Our professional upholstery cleaning process and specialized furniture cleaning techniques will bring back the beauty they once had. 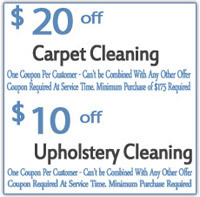 Houston TX Carpet Cleaning Service experts can clean stains, ground in dirt and damaged areas on most furniture. We use a state of the art truck mounted system to ensure you receive high quality upholstery cleaning and fast dry times. 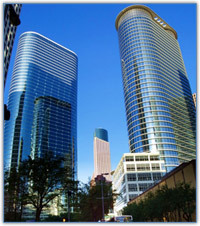 Our process uses only safe, environmentally friendly cleaning solutions. You will be able to see, smell and feel the difference. We clean all fabrics excluding suede. Most fabrics can be cleaned with a hot water extraction; however some delicate fabrics must be cleaned without any water, requiring a dry clean, dry foam method. Our technicians are professionally trained to recognize the fabric and use the proper technique for each fabric. Our price is the same for either method. Beware of unscrupulous cleaners that quote an extremely low price over the phone, then upon arrival they double, or ever triple the price of cleaning your furniture fabrics, saying they require "special treatment," even fabrics that can be cleaned with the hot water.